The All Sorts Soft Play Shapes is a brightly coloured assortment of 25 soft foam blocks, designed for use in pre-schools and nurseries. 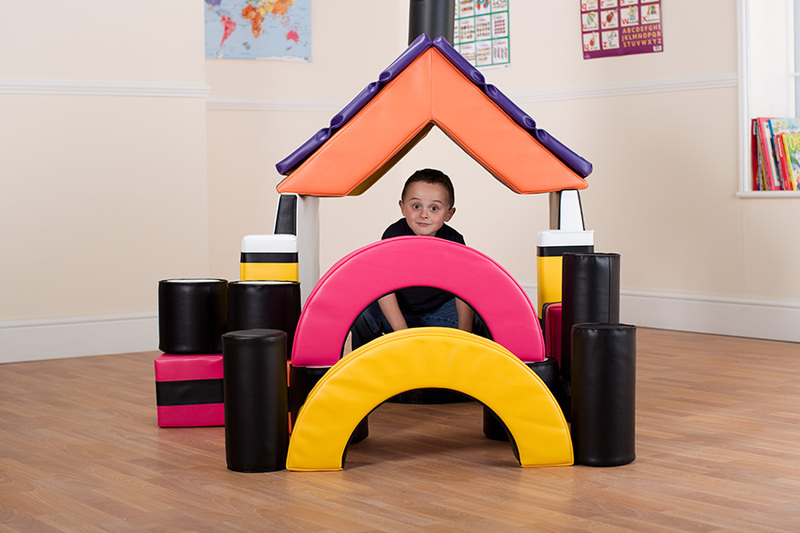 Ideal for group creative learning, role play and for constructing a variety of fun obstacles courses for physical play. The high contrast colours add fun and also aid the visually impaired, and the textured surfaces offer sensory stimulation. Manufactured using a dense foam which is covered with a soft touch vinyl and closed-stitched sealed to ensure the covers are not removed. Each cover is colour-fast, stain resistant and can easily be maintained with its easy clean surfaces. Complete with a holdall bag which allows you to pack away the entire kit for easy storage.